An international innovator, Dermapen is a medically engineered and developed skin needling device that utilises 12 surgical grade micro-needles that deliver effortless and effective skin needling. Employing patented technology, Dermapen's gamma-sterilised, 33 gauge micro needles are encased in an ergonomic, automated pen with featured Advanced Oscillating Vertical Needle (AOVN) technology. AOVN enables a gliding action that smoothly flows over the skin to deliver efficient, dramatic and long lasting results. Dermapen's unique operation offers superior control, concentration and safety to trigger the skin's own natural healing mechanisms, resulting in striking rejuvenation and correction. The exclusive needle system is nickel and titanium free in an individual spring-loaded Microderm Needle Cartridge, which allows procedural depth versatility to customise every treatment area and concern. Dermapen freely manoeuvers across all facial and body contours, confidently targeting and treating acute and chronic concerns, including hard-to-reach areas, with effortless precision. Dermapen has won numerous awards including the Best Skin Rejuvenation Device in 2012 at the Las Vegas Aesthetic Show. More recently Dermapen has been nominated as a finalist for the Most Innovative Brand & Device Concept by the Cosmeeting Paris Congress. Dermapen innovations have been presented at the Anti-Ageing World Medicine Congress (AMWC), American Academy of Dermatology (AAD), European Academy of Dermatology & Venereology (EADV), World Congress of Dermatology and the Australian Society of Aesthetic Plastic Surgery (ASAPS). More surgeons, dermatologists, doctors, nurses and skin therapists use Dermapen than any other brand or device for vertical needling procedures. The use of needles for therapeutic benefit may be traced back as far as the Shang Dynasty (1600-1100BCE) with the Traditional Chinese Medicine (TCM) practice of acupuncture. Unlike modern cosmetic skin needling which is designed to stimulate a wound healing response, the insertion of acupuncture needles to specific body points rebalances the flow of qi (or energy) through meridian channels. The resulting alignment is claimed to target pain, anxiety, insomnia and even addiction. Cosmetic acupuncture works similarly to stimulate the movement of qi to rebalance the facial area via increased blood flow and stimulated muscle activity. Utilising needles purely for cosmetic application did not reach full development until 1995 when two American doctors pioneered Subcision. Subcutaneous Incisionless Surgery (Subcision) is a minor surgical procedure where a tri-bevelled hypodermic needle was inserted into depressed scar tissue or areas of deep rhytid (wrinkle) activity. The subsequent fanning action detached the more superficial tissue froom deeper tissue, pooling the targeted area with blood and triggering a wound healing response. Cumulative treatments further levelled and smoothed indented and hypertrophic tissue. Subcision can only be performed by a cosmetic surgion or dermatologist and requires block or infiltration anaesthetic and patient sedation. In 1997, further developments in cosmetic needling were published by two Canadian doctors, the pioneers of Needle Dermabrasion. In 1992, is was noted that facial scar tissue which had been cosmetically tattooed (to blend with and match surrounding skin tone) started to promote natural re-pigmenting, re-texturising and reduction of the original scar tissue 1-2 years after treatment. With experience and later proved that the trepanation of scar tissue with a colourless tattoo gun not only reduced fibrous deposits, but actually stimulated natural melanogenesis, re-pimenting the treated area. The success promoted further developments in cosmetic needling with the creation of a Needling Stamp by a South African doctor. Unlike previous technologies, which utilised a single needle, the Needling Stamp used multiple needles (around 20) to create a faster and more concentrated treatment. The achievements with this technique were publised and delivered in 1996 and paved the way for the creation of the first skin needling roller. Unlike the stamp which only used around 20 needles, the roller incorporated 70 needles positioned on a rolling drum for a faster, treatment that provided a greater ease for the treating medical practitioner. The needle length on this original roller however was 3.00mm and like subcision, required a medical practitioner, block or infiltration anaesthetic and patient sedation. Subsequent studies concluded that similar treatment results could be achieved on patients with needles as little as 1.0mm. These observations instantly progressed needling as a more viable treatment option for consumers by removing the potential complications, time and costs associated with intra-venous sedation and injected local anaesthetics. Variation of the original device have resulted in a myriad of modern roller configurations containing anything up to 600 needles varying in lengths from 0.15mm to 3.0mm. However, the mechanical action of rollers results in a "arcing cut" penetration, which causes unnescessary pain and tissue destruction. In 2010, Australian medical developer Stene Marshall revolutionised modern skin needling with the evolution and engineering of the world's first skin needling Dermapen. With over 5 years intensive research and development on prototypes, Dermapen became the culmination of Marshall's ingenuity partnered with an international leader in medical device manufacture. By comparison to now out-dated skin needling technologies, Dermapen offers far superior design, comfort, versatility and results with fast and adaptable procedural options. Skin needling in its many forms and variations is also referred to as PCI (Percutaneous Collagen Induction), CIT (Collagen Induction Therapy), SRT (Scar Rejuvenation Therapy) and micro needling. 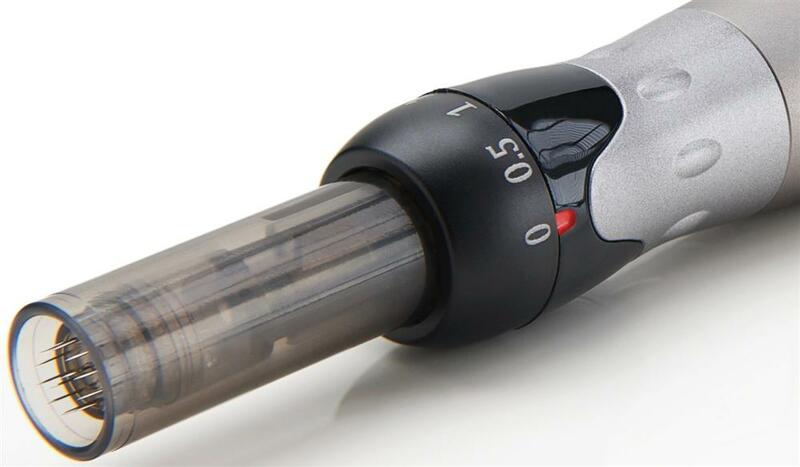 Only Dermapen's unique spring-loaded Microderm Needle Cartridge uses electrically charged automation to revolutionise skin needling procedures. The oscillating stamp-like pen (with AOVN technology) harmoniously vibrates and glides over the skin providing the most efficient control, safety and comfort possible, whilst delivering treatment in the shortest time frame. With 12 needles in each tip and a motor which is capable of 108 Hz, the Dermapen produces around 1300 micro channels per second. Each disposable Microderm Needle Cartridge is individually gamma-sterilised and packaged for effortless loading and replacement into the Dermapen device. For the ulimate in skin compatibility, the needles are solely manufactured from surgical grade stainless steel naturally reinforced with molybdenum and chromium for increased durability, strength and performance. The needles are free of nickel and titanium and may be tolerated by even the most allergic of skins. The Microderm Needle Cartridge may be adjusted anywhere from 0.0mm-2.5mm (depending on the device), creating procedual versatility that can actually be modified during treatment to accommodate skin thickness and area location whilst administering customised condition focus. Dermapen's characteristic pen size allows easy manoeuvrability around facial and body contours, including traditionally harder-to-treat areas around the lower eyes, beneath the eyebrow, corners of the nose and the peri-oral contours. The electrically charged automation powered by a high duty cycle motor (with AOVN technology) reduces epidermal damage, discomfort and procedural downtime. The motor offers a multiple speed option for greater control and treatment versatility. Unlike needling rollers, where the needles are inserted at a 45-90 degree angle (promoting increased pain and unnecessary epidermal damage), Dermapen's vertical vibrating mechanism disipates nerve response and ensures that the skin is gently stamped vertically (at 90 degrees, providing treatment consistency without compromising tissue integrity. Dermapen's vertical needle insertion also removes the risk of needles bending with the skin, along with uneven depth entry and control - some common problems created by other needling technologies. As the Dermapen is gently guided and glided over the skin, microscopic puncture channels are lightly stamped into the skin's matrix stimulating an inflammatory, or wound healing response. 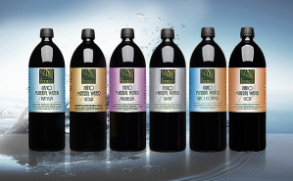 This promotes intense renewal, repair and rejuvenation. Natural growth factors are released to stimulate reformation and deposition of fresh restructuring collagen. Unlike most skin rejuvenation treatments, Dermapen directly targets three major cell types (keratinocytes, melanocytes and fibroblasts) and promotes scarless wound healing via a controlled wound healing response. The risk of irregular fibrotic collagen deposition is virtually removed. The skin is composed of three major layers each containing major cell groups: hypodermis, dermis and epidermis. Such groups are directly and indirectly targeted by a dermapend clinical procedure, depending on the needle depth chosen. the epidermis and the dermis are the key skin layers to be targeted by a Dermapen clinical treatment. and is the skin's initial response to superficial or acute micro trauma. Superficial treatment of the epidermis during a Dermapen procedure will stimulate an inflammatory response, as opposed to a wound healing response. Depending on the condition being treated, this may enable closer treatment intervals. The biological repair action that cascades within the skin after chronic or deeper micro trauma. Whilst the process is commonly categorised into three distinct functions: Inflammation, Proliferation and Maturation, the protential creation of pinpoint bleeding during a Dermapen procedure creates the addition of Haemorrhage / Haemostasis as a processional starting point. Dermapen's non-thermoltic and non-ablative technology ensures controlled wound healing stimulated fibroblast division and the deposition of tightly woven collagen fibres. Dermapen's controlled effect on the wound healing response enables treatment on all Fitzpatrick skin types and can be effective on skins prone to fibrotic tissue production. Trauma created via the destruction of the epidermis with ablative technologies, dermabrasion, or deep chemical peels can often result in thinning of the epidermis, a loss of dermal papillae and damage to melanocytes (creating post-inflammatory hyperpigmentation). Abnormal healing may further be aggressed via the thermolytic action activated by ablative and non-ablative laser and intense pulsed light (IPL). Complications include cicatricial healing, the inactivation of certain growth factors due to coagulation and the release of pro-fibrotic growth factors (including transforming growth factor B1 & B2), vascular endothelial growth factor (VEGF), lumphotoxin B and heat shock protein 47. Overstimulation of fibroblasts via heat and inflammation can create an overproduction of scar-type connective tissue. Type III Collagen produced via the wound healing response matures and is replaced by Type I Collagen at an inconsistently faster rate. If phagotised particles are insufficiently digested and destroyed during the inflammatory process, granulomatous inflammation may develop where granulomas can form creating fibrotic tissue. The results of Dermapen regulate and balance this process ensuring seamless, scarless healing with virtually no risk of post-inflammatory hyperpigmentation. Dermapen provides effective management for most skin conditions, allowing simultaneous treatment of multiple concerns (via adjustable needle depth and oscillation speed). Dermapen clinical devices are all suitable for face, body and head applications. Results may be seen after just one procedure. A condition specific and tailored treatment plan should be designed and prescribed during patient consultation. A Dermapen Clinical Treatment Consultation & Consent Form should be completed by the patient prior to consultation. By cascading the skin's natural healing response, a Dermapen clinical procedure delivers increased cellular proliferation and regeneration, whilst stimulating angiogenesis, increasing collagen and glycosaminoglycan production and regulating melanogenesis. The skin becomes cumulatively re-texturised, rejuvenated and restructured, minimising the appearance of ageing, uneven skin tone, uneven texture, imperfections and areas of indentation. Results may be seen even after one treatment. Dermapen's vertical needle insertion and adjustable needle depth ensures the fastest recovery period of any skin needling modality. 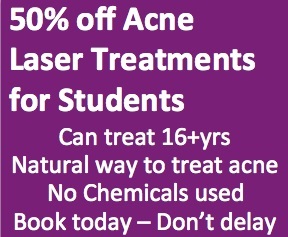 Active results may be achieved whilst simultaneously promoting effective skin correction. Erythema similar to the appearance and sensation of mild sunburn is an indication of succesful treatment. 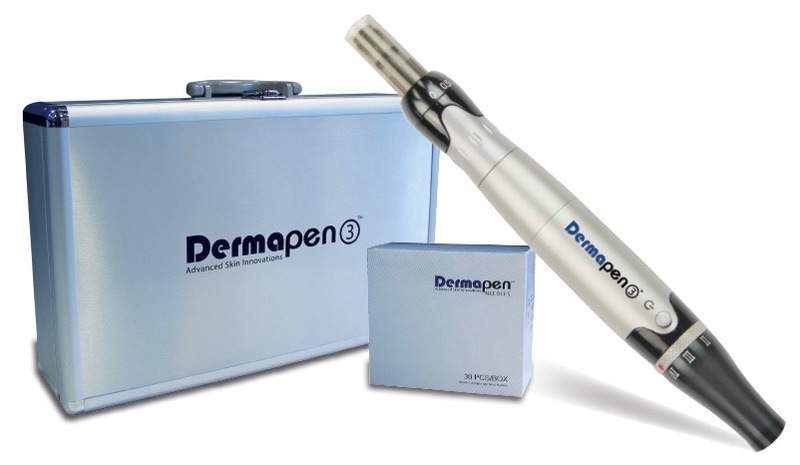 Dermapen's unique application ensures that there are no signs of bruising, grazing, track marks, scabbing or laceration to the treated area. The 33 gauge needle puncture channels created during a Dermapen treatment typically constrict within 7-15 minutes. Petechiae may appear on areas of thin or more delicate skin especially around the peri-orbital area. Pinpoint bleeding can be expected and is very minimal in most cases. Patients on anti-coagulant medications or supplements will be more prone to pinpoint bleeding and petechiae. Whilst bleeding is haemorrhaged within minutes during treatment, petechiae may last for 2-3 days before eventually dissolving. Some patients may experience minor itching or swelling on the treated areas following a dermpen procedure. This may occur from accelerated cellular desquamation, or in very rare cases may be a minio skin reaction to certain topical local anaesthetic actives. Patients should allow 45-90 minutes for their appointment. This includes a full consultation, skin assessment, Dermapen procedure and post procedure care. Patients may resume work or normal activity almost immediately post-treatment. Applying high dosages of active topical skin care ingredients (including, but not limited to): retinoids, hydroquinone, alpha-hydroxy-acids, beta-hydroxy-acids, benzoyl peroxide, alcohol (ethanol/isopropyl), chemical based sunscreens. Patients prone to herpes simplex (cold sores), are recommended to take or apply a targeted prophylaxis such as acyclovir to prevent a possible outbreak prior to treatment. During the recovery period, patients are recommended to use a mild, soap-free, pH balanced cleanser that will not strip, irritate or leave a heavy residue on the skin. A gentle exfoliant may be diluted with water to gently cleanse the skin daily. Use of non-active, non-occlusive and non-comedogenic nourishing and protective serums and moisturisers is recommended to be applied as often as necessary to reduce inflammation, restore skin comfort and accelerate the healing process. A gentle broad-spectrum sunscreen should be worn and re-applied as required daily. Your practitioner will be able to advise on pre and post skin care during your consultation.